The 2014 Acura ILX is a compact luxury sedan that offers legendary reliability and nimble handling on the road. Even the base model comes loaded with a lot of noteworthy features. Most motorists will find the base engine to be very fulfilling. However, the optional 2.4-liter motor makes the ILX a legitimate sports sedan. Although some people like to compare it to the Honda Civic sedan, the ILX is actually a lot more refined. Eco-friendly drivers will certainly appreciate the sedan’s great fuel efficiency. Acura is known around the world for producing very reliable vehicles. Both the base engine and the more potent 2.4 engine can easily surpass 300,000 miles with the proper maintenance. Due to the sedan’s excellent reliability rating, drivers can expect the ILX to deliver many years of trouble-free ownership. The overall build quality is also better than most of the other vehicles in its class. The 2014 Acura ILX depreciates in value at a very slow rate. If the owner keeps their ILX in good condition, they can expect the car to retain most of its value within a five-year span. Acura vehicles are always in great demand on the used car market. Purchasing a ILX is a long-term investment that will payoff in the future. The manual gearbox that is offered in the 2014 Acura ILX is among the best on the market. Not only is the manual clutch very easy to use, but it also elevates the level of driving excitement. Even the drivers who have very little experience with a manual transmission will quickly learn the basics. The standard 2.0-liter, four-cylinder engine is very smooth and refined. The legendary i-VTEC technology helps the driver to make the most use of the available power. Although an output of 150 horsepower may not seem much, it is more than enough to move the lightweight chassis of the ILX. The quick-revving 2.4-liter, four-cylinder engine generates an exciting 201 horsepower and 170 pound-feet of torque. Budget-minded drivers will love the fuel economy of the 2014 Acura ILX. Trims equipped with the 2.0-liter engine are able to deliver a fuel economy rating of 24 mpg in the city and 35 mpg when traveling on the open road. Despite its enhanced power output, the potent 2.4-liter engine is still able to return 31 mpg on the highway. Although the ILX does offer a sports-tuned suspension, the sedan still delivers nimble handling on the road. Very few front-wheel drive cars in its class will be able to match its road-holding ability. The car’s lightweight design helps it to hug the road with superb grip when cornering. Most drivers will also find the electric steering system to be very responsive. During governmental crash testing, the 2014 Acura ILX was able to obtain a five-star overall safety rating. This means that the passengers will be well-protected in the event of a car accident. The safety profile is bolstered by an innovative Multi-View Rear Camera and powerful anti-lock disc brakes. Stability and traction control come standard on all trims. With a combined fuel economy rating of 38 mpg, the hybrid will be able to save drivers a lot of extra cash. The continuous variable transmission ensures that the sedan is able to provide the advertised fuel efficiency. Aside from a few subtle differences, the ILX Hybrid has the same sporty appearance as the regular versions. Unlike some of the more expensive luxury sedans on the market, the 2014 Acura ILX is very affordable. For just a little more than $25,000, you will be able to obtain a high-quality sedan that is loaded with luxury amenities. The cost to maintain the ILX is very reasonable. The well-designed interior of the ILX has plenty of luxury features. Even the base trim comes standard with leather upholstery, heated seats, and performance wheels. An auto-dimming rear-view mirror and a surround-sound audio system are also available. While the ILX can not compete with the spaciousness of a full-sized sedan, most people will be pleased with the amount of interior room. The powerful 2.4-liter motor is not offered with an automatic transmission. It can only be equipped with a six-speed manual gearbox. The 2014 Acura ILX is strictly a front-wheel drive vehicle. Owners who live in snow-prone areas may not be able to drive their ILX during the peak of winter. The new ILX does not offer a lane departure warning system or adaptive cruise control. While the structure of the ILX is very strong, some drivers may still desire these high-tech safety features. 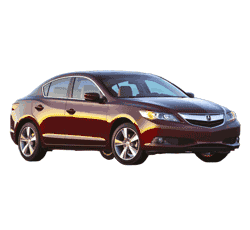 The 2014 Acura ILX is a very solid compact luxury sedan that has a reputation for delivery quality and reliability. Drivers will also appreciate its nimble handling and lively demeanor on the road. 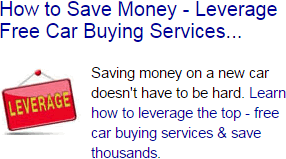 Find New & Used Car Deals..
Search local dealer inventories for the best new car deals. Compare photos, prices and features!